Welcome to Wedding in Ravello !!! 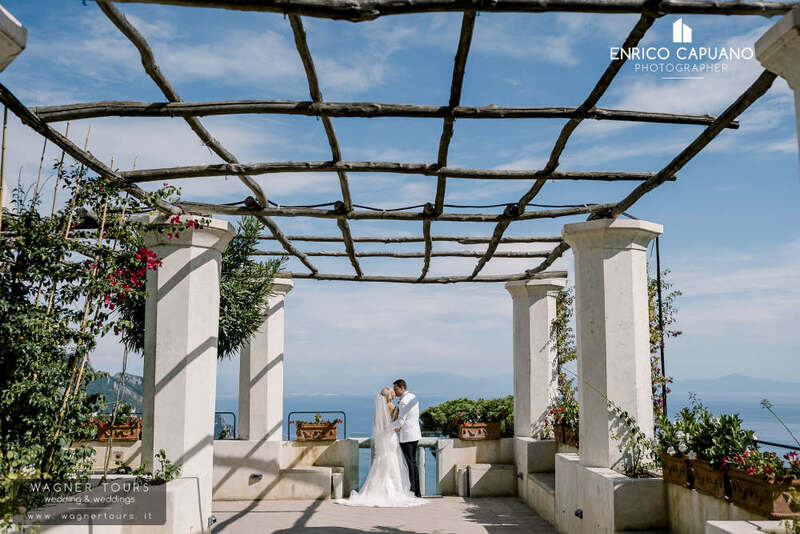 What better location for an unforgettable wedding, the breathtaking views of the Amalfi Coast, with its evocative and characteristic areas and that incredible romantic atmosphere of the past? 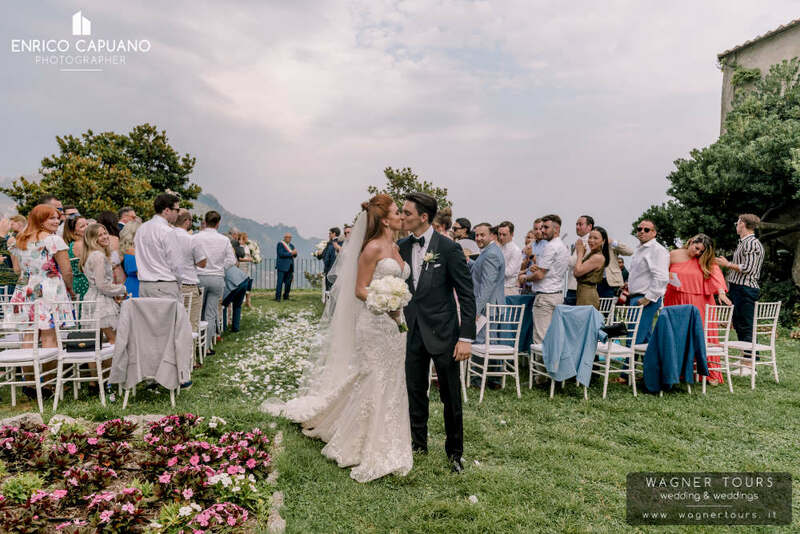 For the most important day of your life, trust the experts!Wagner Tours, the wedding planner leader in Ravello, customizes for wedding couples fairytales weddings surrounded by the magnificent scenery of Ravello and Scala. From accommodations to transfers, from the music to the flower arrangements, from delicious reception menus, videos, photographs, entertainment and much more in order to plan perfectly that moment that will last a lifetime! A wedding on the Amalfi coast, will not only be unparalleled and magical, but an event that will never be forgotten and will forever be in the hearts of family and friends that were able to share the emotions with you! Ravello is one of the most requested locations for elegant and refined destination weddings on the Amalfi Coast. We strongly recommend couples considering a large wedding to start the whole organization a year in advance, in order to find availability in the nicest venues and be able to accommodate their friends in centrally located hotels. if You are thinking about a location where you can find a place where to dance and party until late then Ravello we have the solution for you.